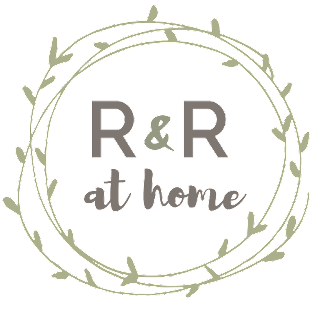 Welcome to Week 4 of the $100 Room Challenge hosted by Erin at Lemons, Lavender & Laundry. In Week 1, I presented my plan for this makeover. 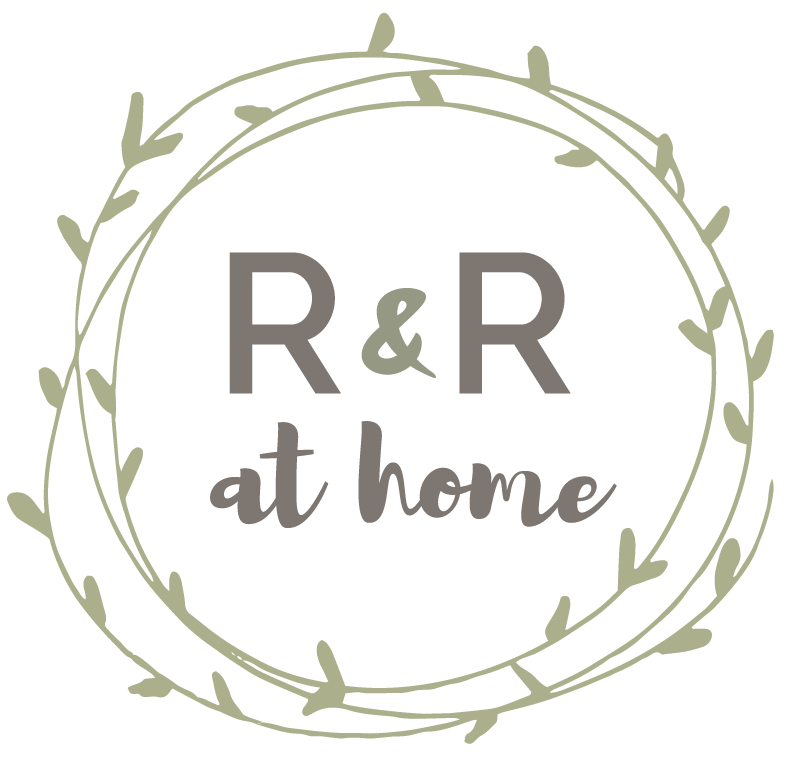 In Week 2, I rounded up my favorite greige paint colors and last week I shared the best area rugs under $100. 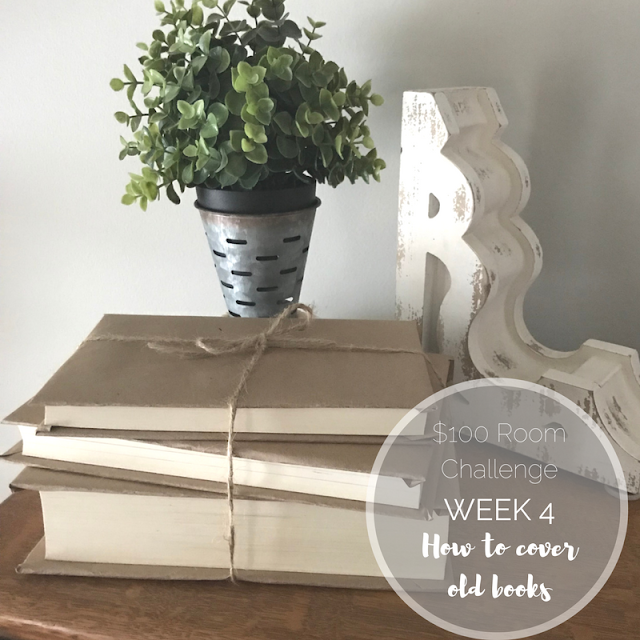 If you are unfamiliar with this challenge, those participating have one month to make over one room for less than $100. 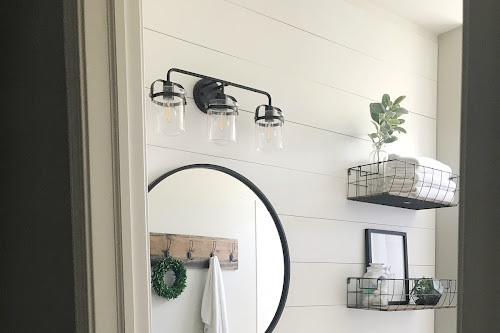 This week I have been working on the finishing touches for my dining room turned office makeover by styling these ladder shelves I stole from our living room. As you know, most of my budget went to paint and a new rug so I had to get creative with the decor I am using in this space! 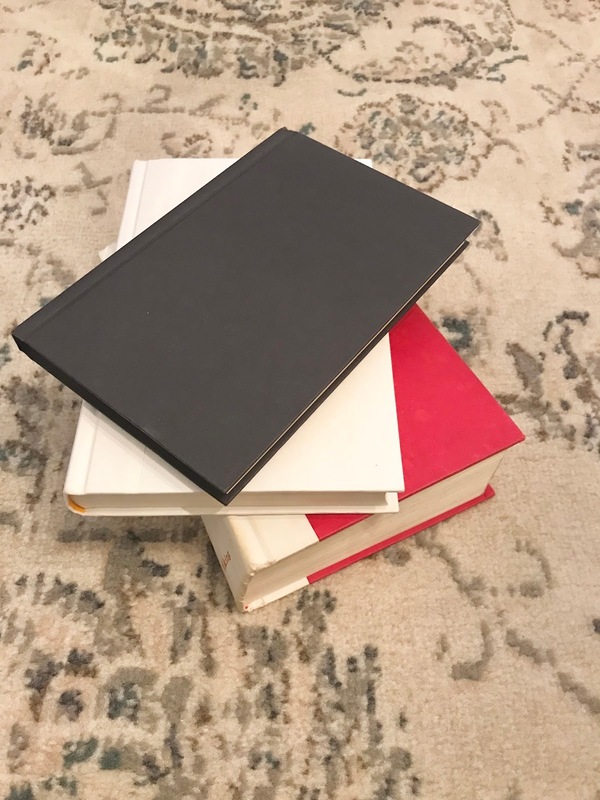 Originally, I dreamed of strolling through the aisles of various thrift stores and coming across beautiful vintage books to use as props/decor on the shelves I was using in my new office. I can say that I have not step foot in one thrift store since starting this challenge. 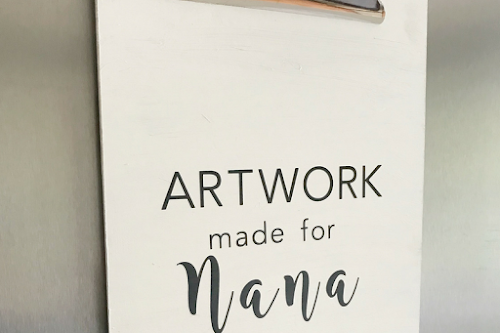 This isn't because I am against thrifting by any means, in fact it is quite the opposite, but I have been holed up in my house trying to finish two room makeovers, countless DIY projects, keep on top of housework and a part time job all while keeping a tiny human alive and entertained. So, getting out of the house for anything other than a grocery run has been challenging. Oh, it's also winter. Still, I had my heart set on using books in a beautiful way as decor. So, I found a few old hardback books we had lying around that I didn't think the hubby or I would be reading any time soon, stripped them of their original book covers and made my own! Best part of this project? It was FREE! 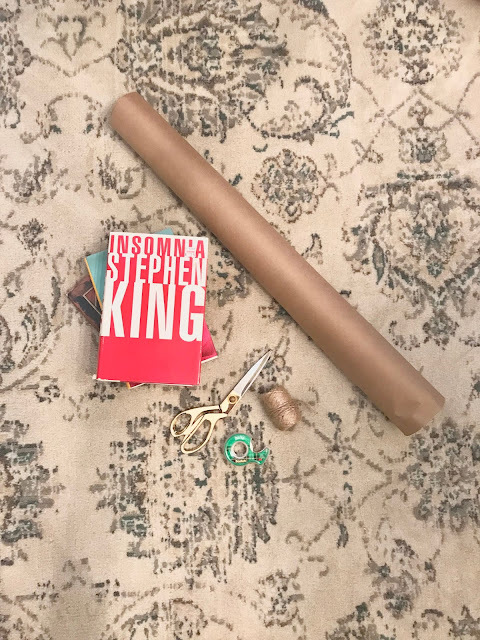 So, being the impatient person that I am- I literally used the ol' try & fail method for making these book covers instead of, oh I dont know, following a guide like a normal person! Gah. It literally took me four tries to get this right! 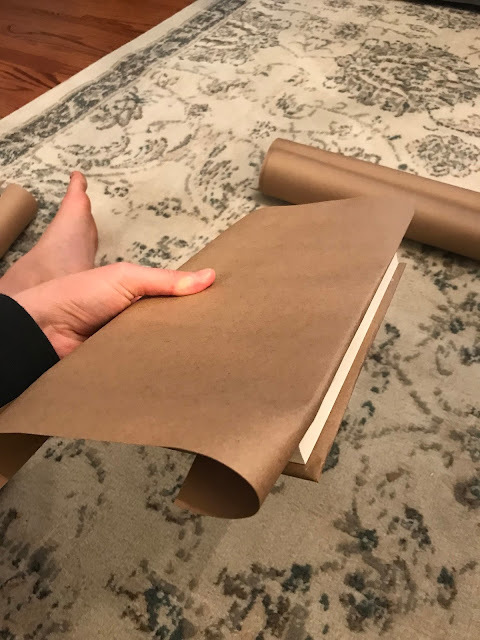 First, you will start by cutting the kraft paper to the right size. Think, wrapping a gift. NOTE: You will want one side to be longer than the other (as pictured below). This is to take into account the space the book needs to close. 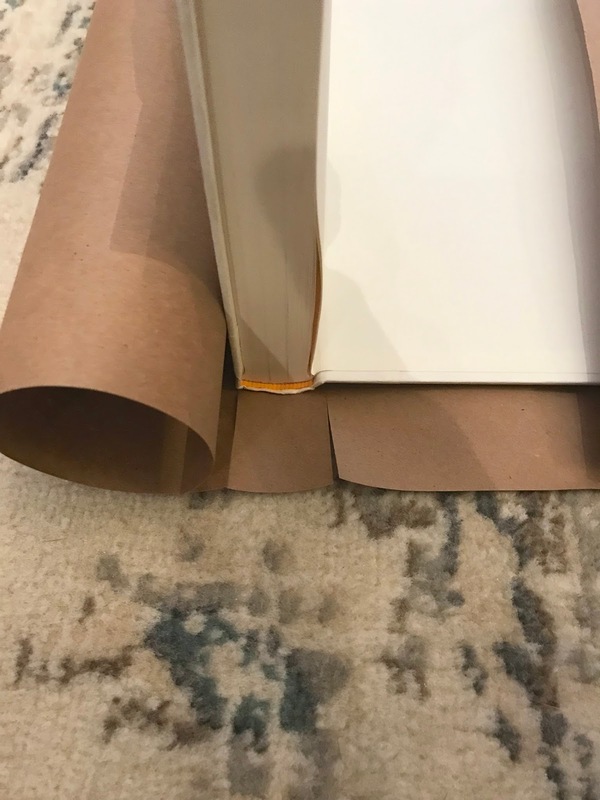 Once you have determined book placement you will want to prop it up on its spine and make two small cuts on each side of the book's spine (the paper not the book itself). Then, you will lay the back cover down and fold over the edge of the kraft paper. Then, you will cut a triangle out of the top and bottom corners (I'm beginning to think there is much better way to describe this to you... oh well, I'll keep being way too detailed). 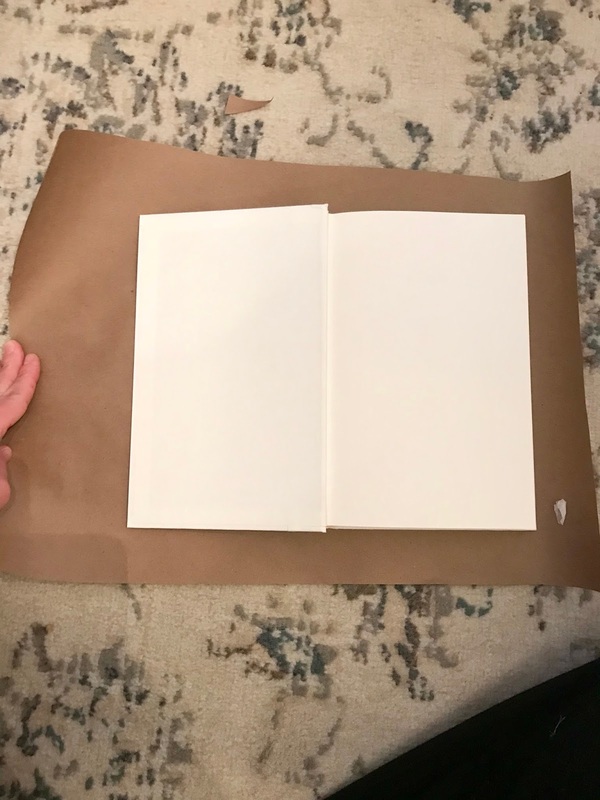 Then, fold the paper as pictured below and tape. 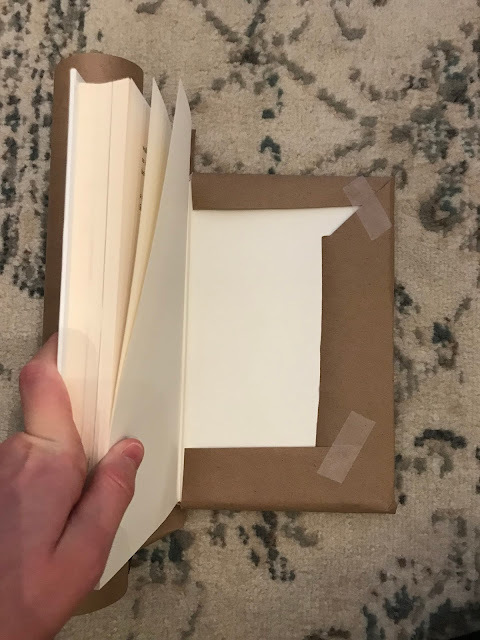 NOTE: Do not tape the book itself. 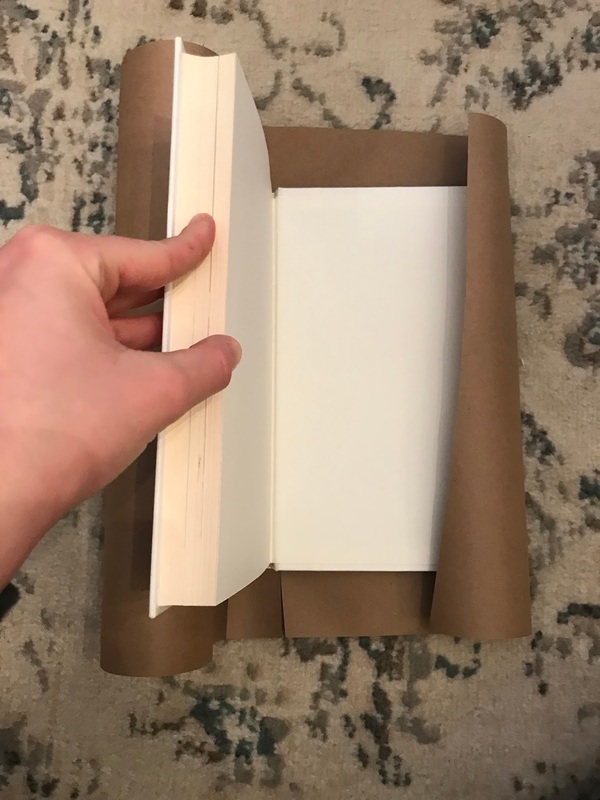 Try to only tape the paper. 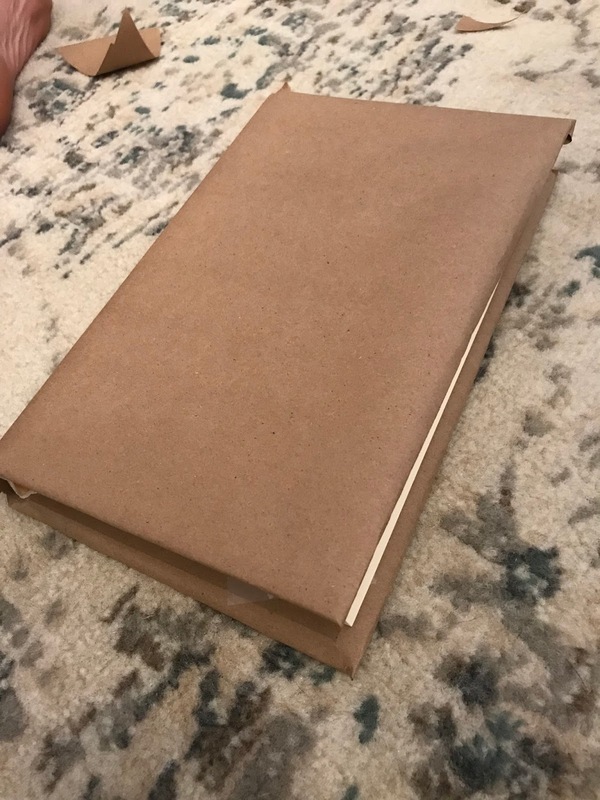 NOTE 2: It is okay if this doesn't look perfect- we are really just going for a look of the book being covered in Kraft paper. Not it is time to move to the other cover. 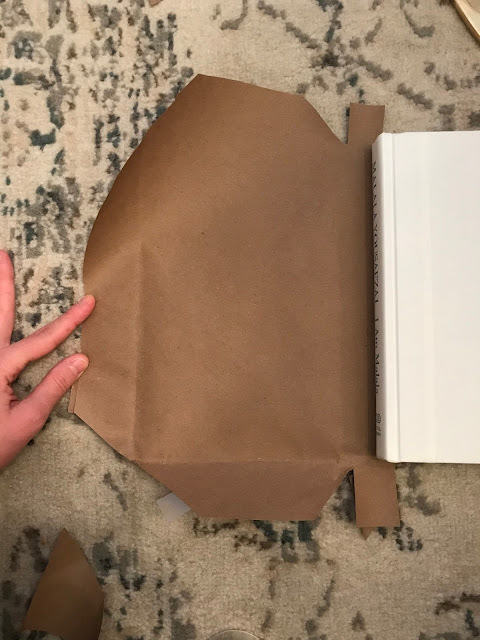 Close the book and wrap the paper around the cover of the book to mark it. 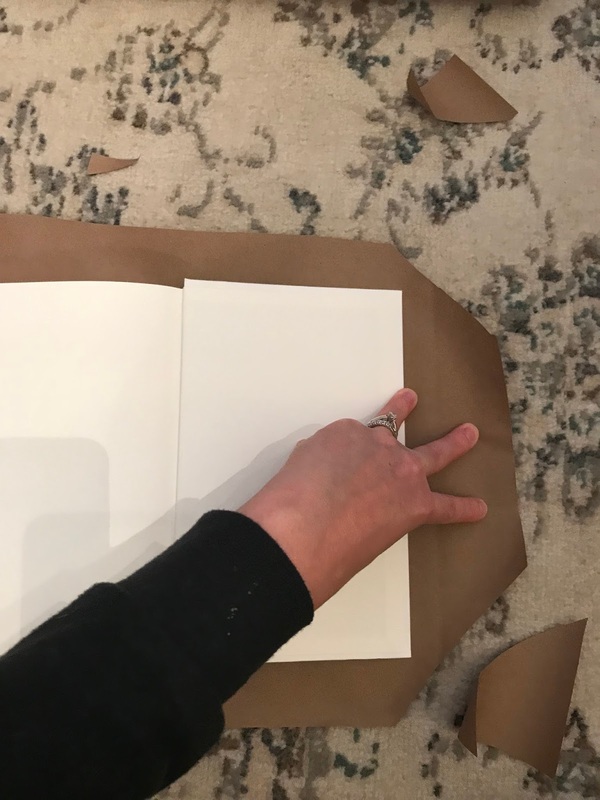 Then, you will cut the corners the same way you did on the back cover. 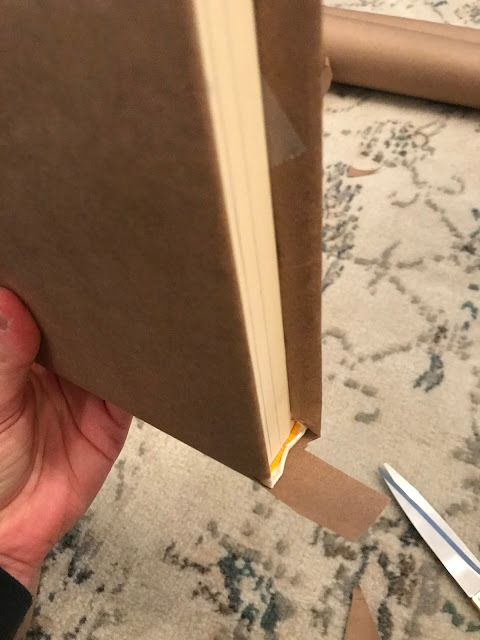 Now, you will complete the cover by taping the tabs you have just created around the inside cover. If you're smart (unlike me) you will fold these tabs under- if you forgot, don't worry- you can just cut them off! No harm, no foul! Continue all steps on as much books as you'd like then meet me back here for the final step! Lastly, you will tie your twine around your books, place them on a shelf and BAM! 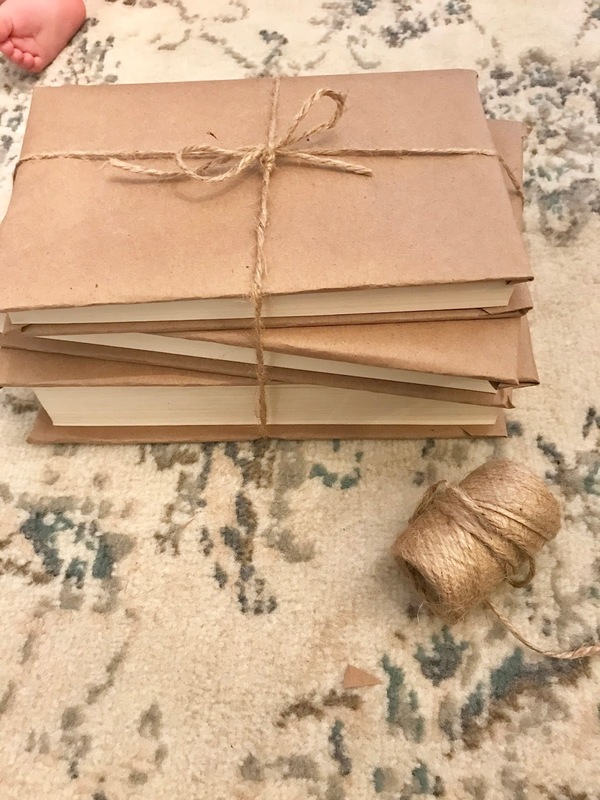 Vintage looking books for FREE! I am so glad I had this thought pop into my head! 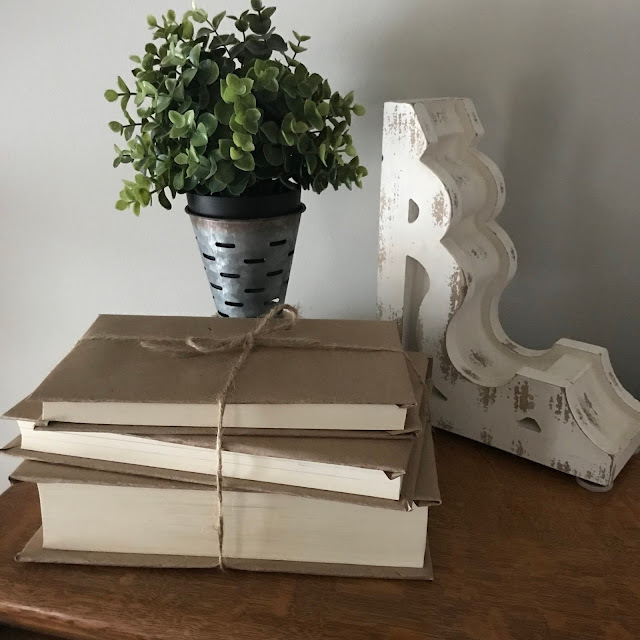 These books are going to be the perfect finishing touch to styling my new office! I am so excited for the reveal next week! 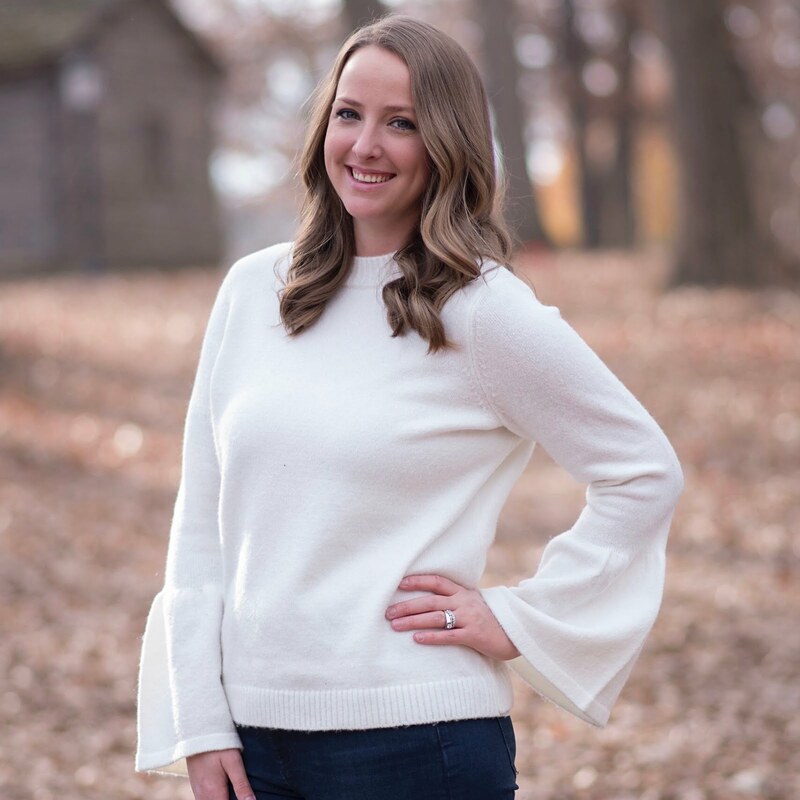 I may even do my reveal LIVE on Instagram (you can follow me here)! 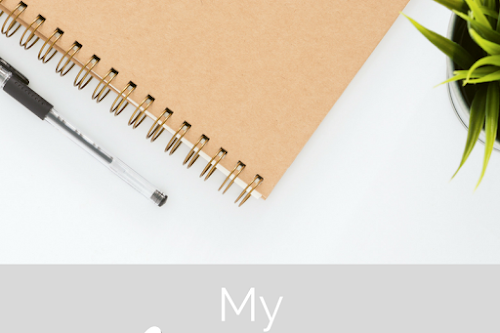 Until then, be sure to check out all of the other bloggers completing this challenge linked below! I used to do this in high school with my textbooks. :) They look lovely. Super cute idea! I may have to do this for some of the random books in our library space! 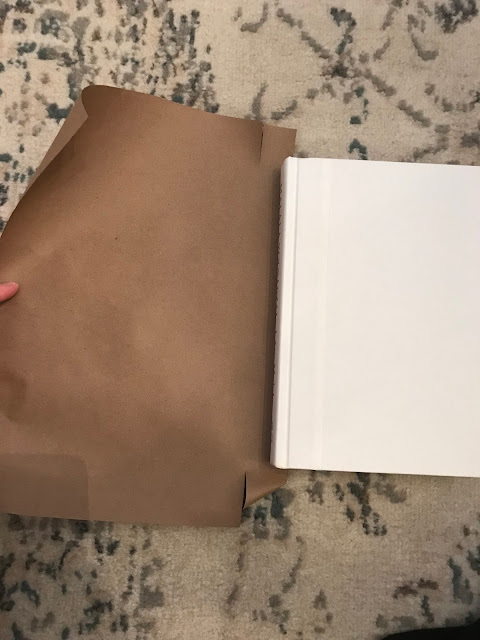 I used to do with in high school to all my textbooks, only I used paper grocery bags :) Such a great way to create vintage style books for free!